Chestnut gall wasp (Dryocosmus kuriphilus) infestations: new opportunities for the chestnut blight fungus Cryphonectria parasitica? The invasive chestnut gall wasp Dryocosmus kuriphilus (Cynipidae) is one of the most important insect pests on Castanea species worldwide (EPPO, 2005). In 2009, D. kuriphilus was found for the first time in southern Switzerland, most likely an invasion from nearby Italy (Forster et al., 2009). In summer 2010, in a five hectare chestnut orchard near Stabio, a twig dieback was observed in the crown of trees heavily infested with last season's D. kuriphilus galls (Fig. 1). This orchard showed one of the heaviest gall infestations in Switzerland. In spring 2010, more than 40% of the buds were infested with galls. An inspection after leaf fall revealed that young twigs (i.e. 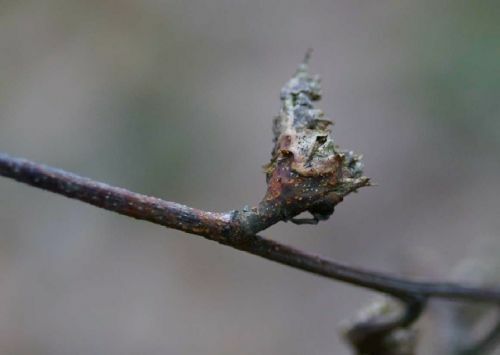 twigs formed in the current year or in the previous year) with galls were more likely to have symptoms of chestnut blight, caused by the fungus Cryphonectria parasitica (Diaporthales, Ascomycota). In contrast, no visible signs of C. parasitica infections were observed on young twigs without galls. Chestnut blight was first observed in southern Switzerland in 1948 and is currently widespread throughout the country (Heiniger & Rigling, 1994). To verify whether abandoned D. kuriphilus galls were infected with C. parasitica, and thus serve as a possible entry point for the fungus, 24 young twigs (half showing symptoms of the disease and half not) with abandoned galls were sampled in November 2010. Incidence of C. parasitica infection was determined from the collected galls (n=44) as described by Bissegger et al. (1997).Cultures were identified by comparing their morphology on potato dextrose agar with those of reference cultures from our collection and by determining their vegetative compatibility (vc) type (Bissegger et al., 1997). C. parasitica cultures were obtained from all 12 young twigs (one gall per twig) with visible signs of C. parasitica infections on the galls or on adjacent twig sections (Fig. 2).In contrast, the fungus was isolated from only four out of 32 galls from the 12 twigs with no visible signs of C. parasitica infections (Fig. 3). Pairing tests showed that all isolates belonged to vc-types present in southern Switzerland. Thus, young twigs with abandoned galls can be infected by C. parasitica. Isolation from asymptomatic tissue indicates that the fungus was either in an early stage of infection or endophytically present inside the abandoned gall. Although our data do not allow an unequivocal answer to the question whether the twigs are first colonised by D. kuriphilus or by C. parasitica, there is indirect evidence supporting a first colonisation by the gall wasp. D. kuriphilus mostly lays eggs inside healthy dormant buds (Itô, 1967), while C. parasitica needs wounds on the bark to penetrate and infect chestnut trees (Anagnostakis, 1987). The holes through which the adult females of D. kuriphilus emerge from the galls in summer may present an entrance opportunity for C. parasitica spores. The fungus may then saprophytically colonize the moribund tissue of abandoned galls eventually spreading into the adjacent twig, inducing the formation of cankers. More detailed information on the incidence of chestnut blight on twigs with galls would be helpful for better estimating the ecological effects of the interaction between these two invasive organisms. 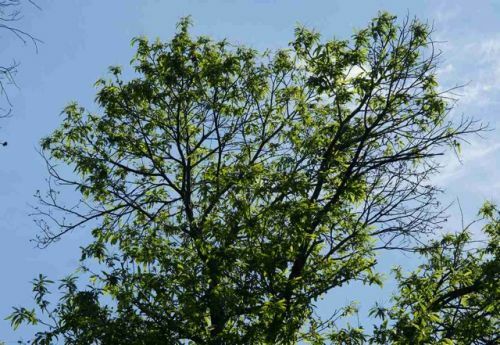 Figure 1: Twig dieback in the crown of a heavily gall-infested (Dryocosmus kuriphilus) chestnut tree (Stabio, Switzerland, 2010). Figure 2: Young chestnut twig with galls and symptoms of Cryphonectria parasitica infections on the galls (i.e. orange stromata) and/or on the adjacent twig sections (i.e. reddish lesions on the bark) (Stabio, Switzerland, 2010). 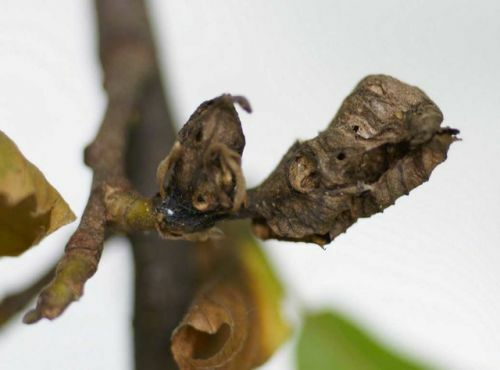 Figure 3: Young chestnut twig with galls without symptoms of Cryphonectria parasitica infection (Stabio, Switzerland, 2010). The authors would like to thank Esther Jung for conducting the laboratory analyses and Daniel Rigling and Ursula Heiniger for critically reading the manuscript. Forster B, Castellazzi T, Colombi L, Fuerst E, Marazzi C, Meier F, Tettamanti G, Moretti G, 2009. Die Edelkastaniengallwespe Dryocosmus kuriphilus (Yasumatsu) (Hymenoptera, Cynipidae) tritt erstmals in der Südschweiz auf. Mitteilungen der Schweizerischen Entomologischen Gesellschaft 82, 271-279.